The Nigeria’s leading e-commerce giant, Konga, is set to relaunch Pay-On-Delivery (POD) from August 1st 2018, starting with customers in Lagos before extending the service to other states from September 1st 2018, reports ITRealms. This is after effectively achieving same day delivery of approximately 97% of product orders in major cities in the last 30 days. The chief executive officer of Konga Online, Mr. Nick Imudia, disclosed this to ITRealms, saying that Payment On Delivery was suspended when erstwhile owners – Naspers and AB Kinnevik were in discussions before the acquisition of the business by the Zinox Group. “We have taken our time to restructure, improve our technology and capacity in terms of our own staff and logistics to meet customers’ expectations. We have invested substantially in our logistics arm, K-Express culminating in the acquisition of new line-haul trucks, delivery vans and motor bikes to meet the commitments of not just POD, but also achieve a minimum of 85% same day delivery of major products categories by July 2019 across the nation as mandated by the Board of Konga. “Someone must make it happen, and we have decided to take the bull by the horns with new mega warehousing and storage facilities being opened across the country with best in class technologies,” he affirmed. Mr. Imudia also stated that Konga, in line with its status as the biggest composite e-commerce company in Africa, is expanding its retail network as promised by the company’s management, with a target of 100 stores before the end of 2019 but with a long-term ambition of achieving 774 stores by 2022. 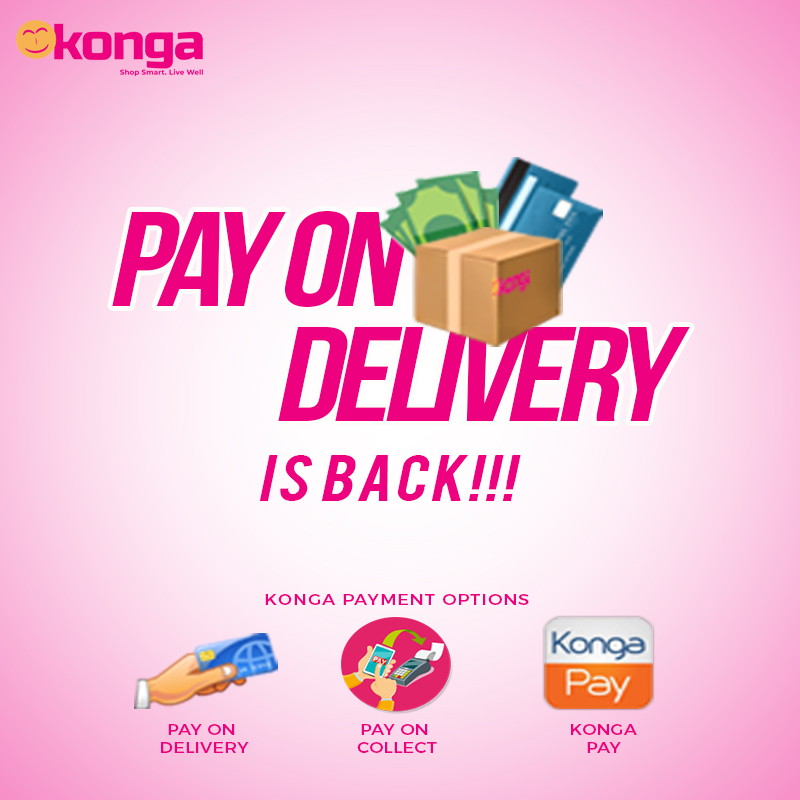 “Effective August 1st 2018 and considering Nigeria’s deficient payment system, Konga customers have several payment and delivery options. This will go a long way to excite our customers and expand the numerous order fulfillment channels available to our customers. 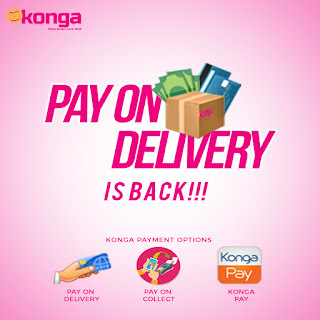 “In addition to pre-payment and payment on delivery, you have the additional option of ordering online to pay and collect from the nearest Konga retail store. Our customers can also walk into any of our stores nationwide and with the help of our staff, order products we do not have in store, then pay and collect when it is delivered at the store or we deliver it at their door-steps. At Konga, we consider the challenges of our market and simplify things for our customers. No other e-commerce company offers these delivery and payment options on the continent,” he concluded. Widely renowned for genuine products, secure payment options and swift delivery, Konga is keen to continue its quest revolutionize the e-commerce space in Nigeria and beyond - a factor that has seen the new management of the company working hard behind the scenes to leverage its composite structure and fusion of online and offline in ensuring an unprecedented level of world class customer experience, improved standards and growth in the Nigerian and African e-commerce eco-system.